Wishing you all the best and thank you so much for your encouragement, dedication and effort to give members a place to learn and progress forward. Was planning to play a tune for you, but I was in the middle of overhauling both right and left hands, so will post some when it's ready. Birthday wishes again!!?? Seems like we just did this already. Wow... Hope it was great. Happy Birthday!!!! Hope you had a GREAT day. Great job on the website, really appreciate all the work you put in. Pierre, happy birthday mate. And many more. Happy Birthday Master Pierre > Hope you have a GREAT DAY!!! > I will toast you this evening after work is done. Happy Birthday, Pierre, and thanks for fiddlerman.com. Happy Birthday, Pierre and many more. I hope you have a great day. Thanks everyone. Always a pleasure reading your birthday wishes. And thanks for the recap Suresh. That video and another one the year before bought tears to my eyes. Love you all!!! Happy birthday Pierre. Hope you have a good one. Happy Birthday to you Pierre. I hope you day and year is fill with wonderful adventures and peace. Thanks always for all you do for the forum and for me as a violinist. Wishing you the very best, and thank you for all that you do. Happy Birthday!! Thank you for creating this wonderful forum!! Belated best wishes and hopes for many happy returns of the day, Pierre. Happy Birthday, Pierre! Can't believe another year has gone by...this is the third Fiddlerman birthday since I joined this site. 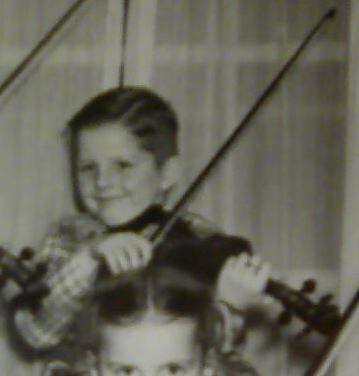 Thanks for all you do to help us learn to play the violin and the fiddler friends that you've given us. Since Suresh recapped our first birthday video, figured I'd resurrect my HBTY video from last year. Hope you had a great day on the water with your friends and family. Monday was also my son's 51st birthday. Hope you had / are having a great celebration and thanks for everything you do for all of us here. Great video and I'm the one who should thank you and everyone else here who makes this forum interesting. Thank you all for your warm wishes. I'm a very happy camper. A slightly belated Happy Birthday, Boss ! Hope it was a good one ! I think the term "Boss" is so funny. ROFL. Thanks again for all the wonderful wishes.